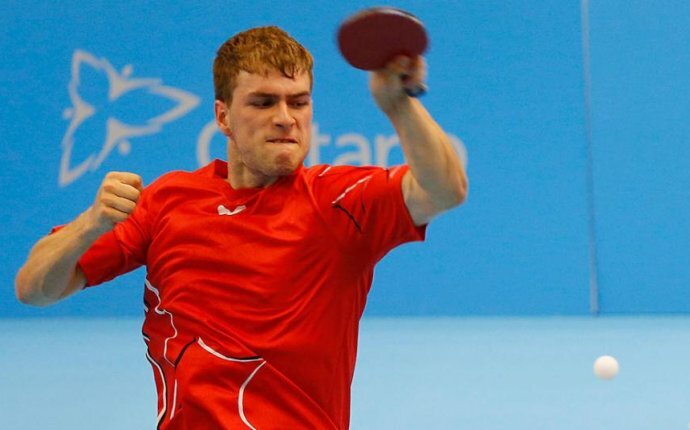 Learn about the scoring system in table tennis. Singles matches will be won by winning the best of seven games. Team matches consist of four singles matches and one doubles match, each played over the best of five games. Games are won by the first player/team to score 11 points while winning by two. If there is a 10-10 tie, the game is won by the first player/team to score two points more than the opposition. In the last possible game of a match, the players/teams change ends when either player/team has scored five points. A point can be won on every serve. In determining the server for points, after the initial serve is determined by a coin toss, the receiving player/team becomes the serving player/team after two points have been scored. This rotation continues until the end of the game, or until a game is tied at 10, at which point players/team alternate service after every point. The player or pair who served first in a game receives first in the next game of the match. In doubles, after each game, the serving rotation changes so the players receive from the server they did not receive from in the previous game.